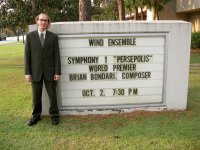 Ok, that title might be slightly dramatic, but it barely conceals my excitement about the world premiere of Persepolis. Quite frankly, the performance was great. No, it was not flawless (are they ever? ), but it was energetic and quite powerful. I’m pleased with the results, and have received lots of good feedback. 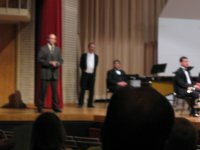 Before the concert I had an opportunity to address the audience. I apologize for the blurry picture, but it’s the only one I have. On a whim, if anyone reading this happens to have a better picture, I would be grateful if you would send it to me. That’s me on the left, and Dr. Brashier (the director) on the right. The ensemble played with zeal. The third movement, Alexander, was savage and powerful. Azadi, the fourth movement, was sublime. The singing fits the mood just right. I should have my hands on a recording in the next few weeks. Once I do, I’ll post some/all of it. 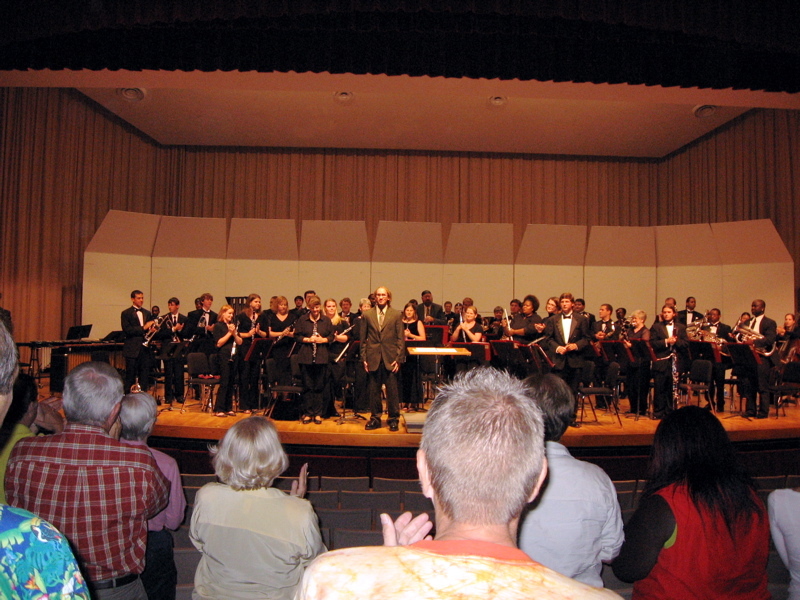 Here’s a picture from the end of the concert: This morning Kat and I awoke very early and flew back to Kansas City. I must admit that it will be difficult to get back into the groove at KU. I fully enjoyed my time back at VSU, and I can not imagine a better environment for the world premiere. Many of the attendants were close friends, family, and former professors. Everyone was warm, sociable, and enthusiastic about a new symphony. One undergraduate even told me, “I don’t like symphonies, but I liked this one. It was cool!” Ha! 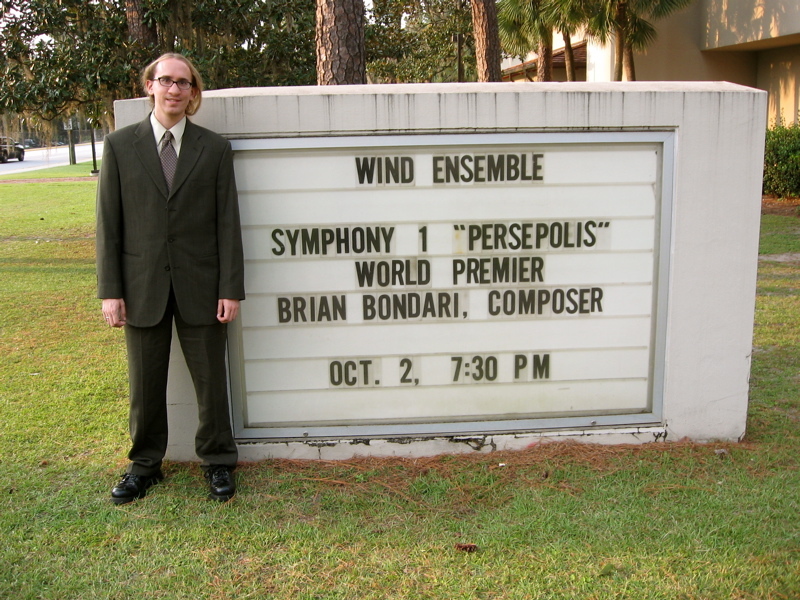 As one would suspect, hearing Persepolis fills me with the desire to write more music for wind ensemble. I simply can’t explain how much I learned from this process. Though there are spots that I wish to revise, especially in the first two movements, I’m happy with this as my first symphony. It’s time to move on and write more. I must express thanks to everyone who attended, all the performers, Dr. Brashier, and my friend Daniel Swilley for his support. I could not have done it without you all.